PBS’s Bombshell: The Hedy Lamarr Story looks at the life of this actress who was much more than a beautiful face. And I saw her in such films as The Conspirators and Samson and Delilah. I still think she is one of the greatest actress of the past and still holds up in the present. 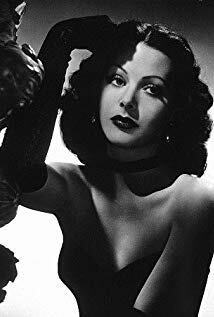 Besides being an actress Lamarr was an inventor and with musician George Antheil’s they developed the frequency hopping spread spectrum. It is a type of radio signal transmission that rapidly changes frequency channels between the transmitter and the receiver. They got the patent for this scientific work and gave it to the Navy to contribute to the WWII war effort. Instead the Navy took the patent, put its science and techonology into use on a limited basis then let it expire. The patent later got new life in the 1950s when Sylvania Electric Products took interest in the patent and by the 1960s successfully brought frequency hopping to life. More than forty years later Forbes Magazine published an article about Lamarr and Antheil’s frequency hopping invention and it led to an award from the Electric Frontier Foundation. The actress and inventor who was still living, did not come to the ceremony and instead sent her son Tony Loder in her place. Until both took place, people around the world only knew Lamarr as an actress and great beauty. She was highly intelligent and very creative too. And best of all she knew this before she passed away at age 85 in mid January of 2000. And Lamarr and Antheil’s invention keeps on giving. It has led to such valued electronics as GPS, Wifi, Bluetooth, and I bet more is yet to come.